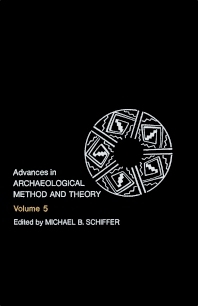 Advances in Archaeological Method and Theory, Volume 5 presents the progressive explorations in methods and theory in archeology. This book provides information pertinent to the developments in urban archeology. Organized into nine chapters, this volume begins with an overview of cultural resource management developed to assess the significance of, and to manage the cultural resources on public lands. This text then explores the basic aspects of natural and human-caused changes on the portion of the archaeological resource base consisting of archaeological sites. Other chapters consider the practice of urban archeology in the United States, with emphasis on the relationships between human behavior and material culture in an urban setting. This book discusses as well the applications of computer graphics in archeology. The final chapter deals with the types of skeletal and population changes that accompany malnutrition. This book is a valuable resource for anthropologist, archaeologists, urban planners, and graduate students.